Taiwanese electronics manufacturer Foxconn has reportedly made rival Japanese electronics maker Sharp an acquisition offer that may be too sweet to pass up. Sources familiar with the matter tell The Wall Street Journal that Foxconn has offered Sharp roughly ¥625 billion ($5.3 billion). That's far more than the ¥300 billion bid that Innovation Network Corp. of Japan (INCJ), an investment fund backed by the Japanese government, is said to be weighing. Why would the Japanese government be interested in Sharp? Japanese officials have apparently expressed concern about letting the company come under foreign ownership. The Journal notes that INCJ already owns a controlling stake in another Japanese display maker, Japan Display Inc., which shares know-how in panel technology and mass production with Sharp. Earlier this week, Japan's Industry Minister Motoo Hayashi said the country's technology is leading the rest of the world and they would like to help make it even more competitive. Whether or not Sharp can look past the fact that Foxconn is offering substantially more money and is willing to take on all of its debt remains to be seen. Either way, it likely needs to do something soon as its finances have only worsened since being rescued by banks last May for the second time in three years. 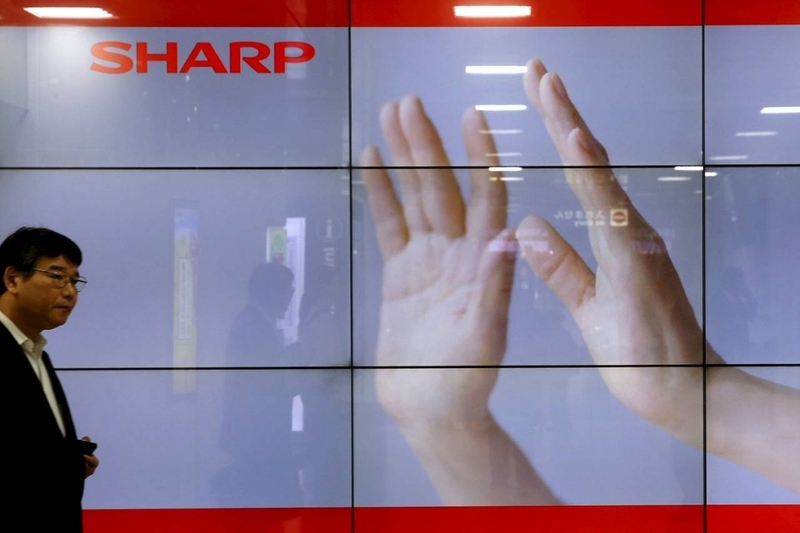 People familiar with Foxconn's offer say Sharp and its lenders hope to reach a deal by February 4, the same day the company is scheduled to announce its latest quarterly earnings report.